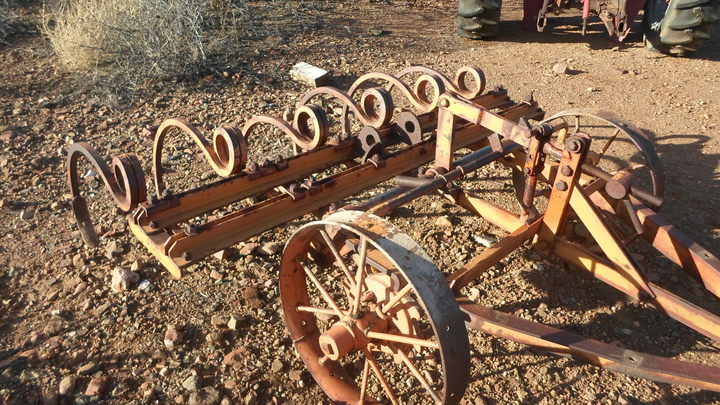 Up here in the north that would be called a chisel plow as heavy as it looks. Would not work well in 200bu corn stalks or 70 bu beans stubble in our wet ground! It would be a rake. 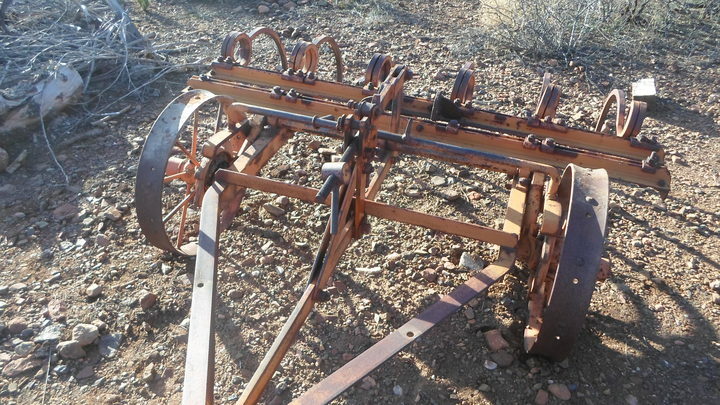 I have a Dempster digger that uses those same shanks and looks similar. 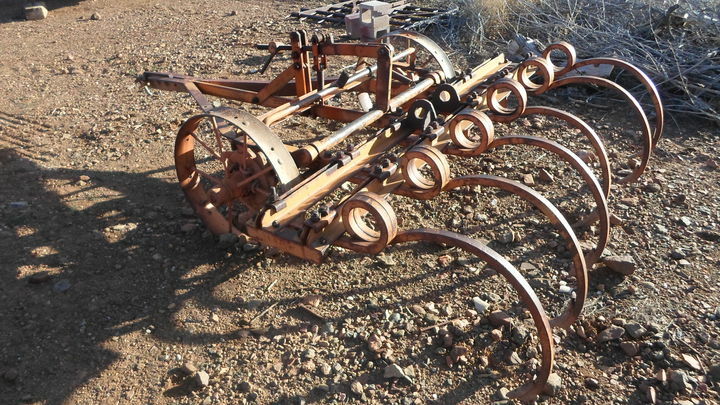 What brand, i have no idea, and the shanks are what i call the John Deere version or style,they were decent for there time, as long s you didn't backup with them, they would snap,in a heartbeat !! !We would call they a chisel plow too, maybe the first time over in stubble if the straw was baled off, or years ago when they threshed !!! 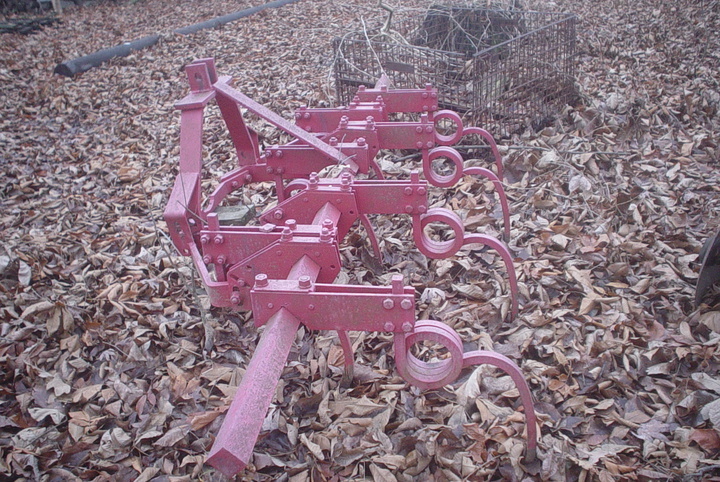 I have one made for an AC tractor snap couple hitch that has similar shanks. I wonder how the one with the wheels was lifted off the ground, did it have a cylinder lift? the machine works very well, really digs and loosens the ground.